Available in a variety of hardwood and finish combinations, the Brentwood 3-Drawer Nightstand can be personalized to fit your own bedroom interior. An essential piece of our Brentwood Bedroom Set, this 3-drawer nightstand is built to stand the tests of time. Full extension, soft close slides ensure the drawers of your Brentwood Nightstand extend fully and close quietly. For the durability and longevity of your nightstand drawers, each is assembled using time-tested dovetailed joinery. Indicate custom specifications for the Brentwood Nightstand using our online options menu. 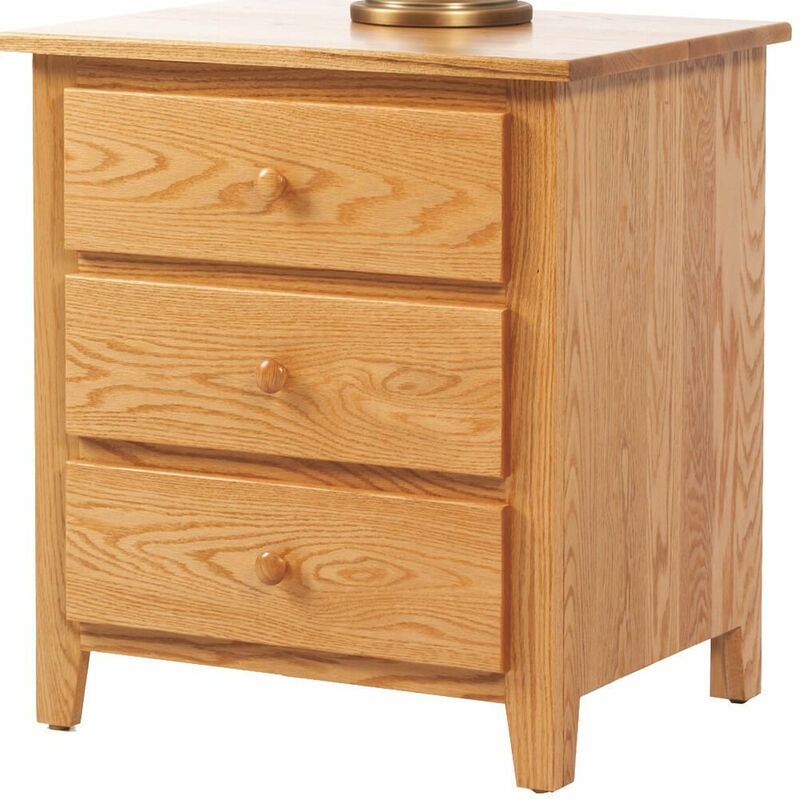 To obtain the pictured look on your nightstand, choose Oak with our Sanibel finish.